You cant get better views than this beautiful money-making oceanfront condo. Wow, over $40K in income! Take the elevator up to the 3rd level and enter a completely renovated, cozy oceanfront get-away. There is NO TO-DO list with this vacation home. This condo is turn-key. Theres nothing to do but put your suitcase down, grab your favorite beverage and throw on your flip flops. Plenty of room in the spacious kitchen which opens right up to the dining and living areas. Just about every room in this place graces you with breathtaking ocean views and the peaceful sound of the lapping waves. Enjoy cocktails on the 24 oceanfront deck where you can smell the salt air and watch the dolphins and whales frolic in the blue water. Jeanettes Pier is in the distance so bring your fishing poles. Back inside, the furnishings and decor are so cozy, tasteful and inviting. Wake up in the oceanfront master bedroom staring at the breathtaking sunrises, then slip directly out onto the oceanfront deck and take in the morning ocean breeze while sipping your coffee. This condo has everything you need to take that deep breath and just relax. 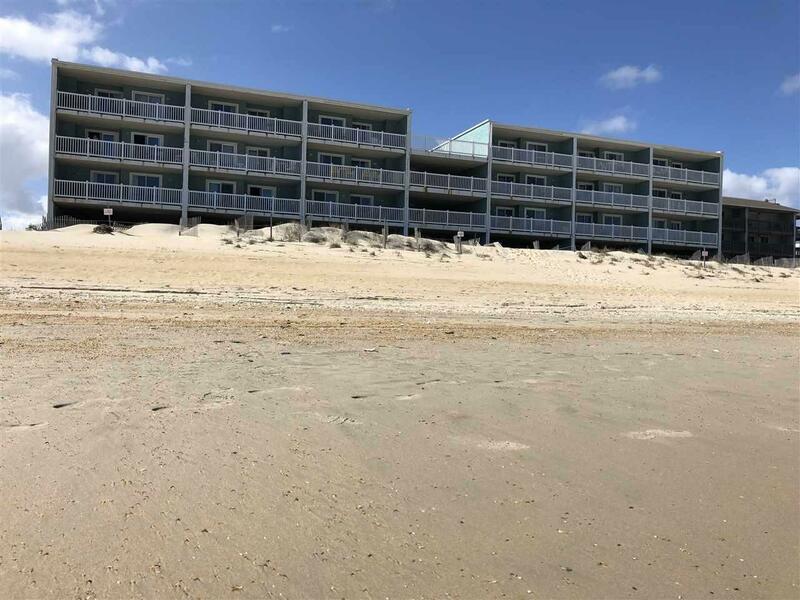 Not only is there a large beautiful beach to enjoy but also two outdoor pools, a playground and grilling area, a convenient elevator, boardwalk to beach, two fishing piers, restaurants and great shops close by. There is even a cozy, electric fireplace to enjoy during the cooler months making it a fabulous year-round get-away.